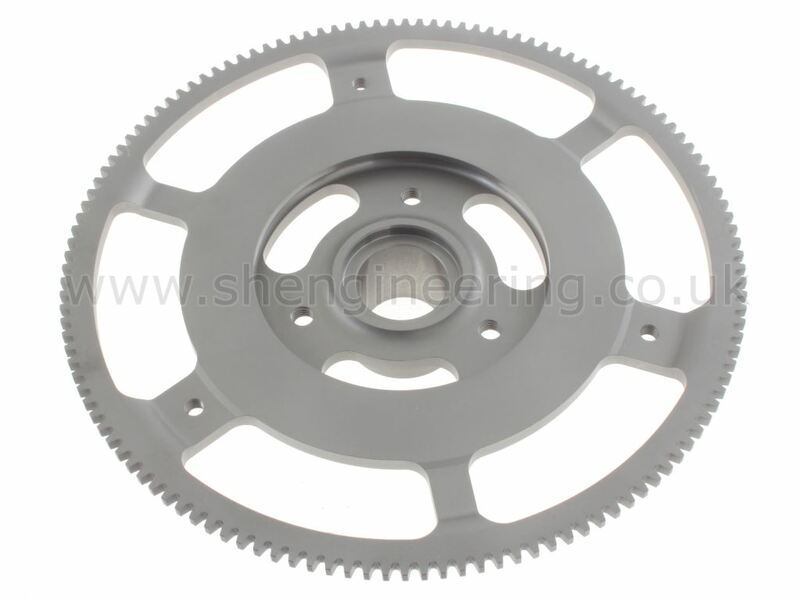 This flywheel is manufactured from EN24 billet. 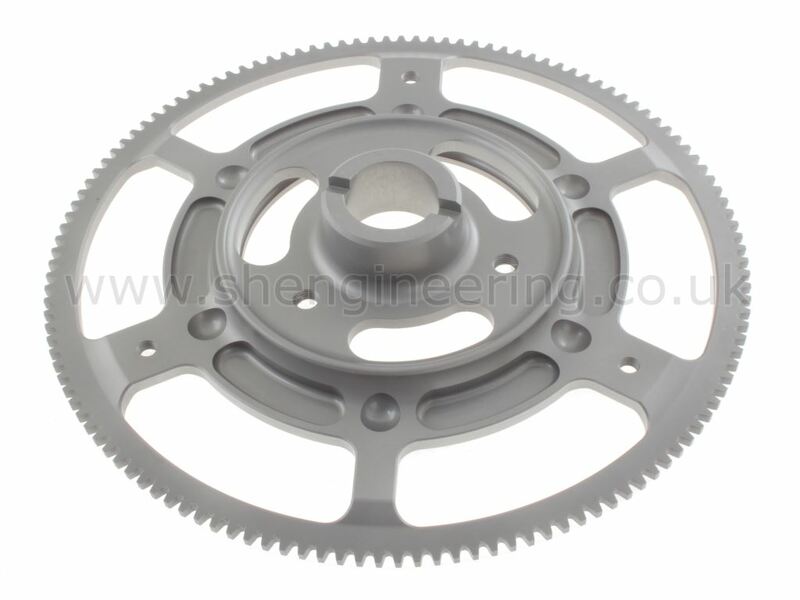 With an integral pre-engaged type ring gear, extensive lightening ( weighing in at 5lb 3oz ), this is probably the lightest and strongest flywheel available. Particular attention has been paid to lightening the outer parts of the flywheel as this is where the reduction of inertia really benefits. After final machining the flywheel is shot peened to prevent fatigue fractures. This is definitely a racing quality flywheel providing the ultimate engine acceleration. ( Combined flywheel + backplate weight is 3.2kg ). Another much copied SH design. We have now redesigned this flywheel to optimise its performance even further.